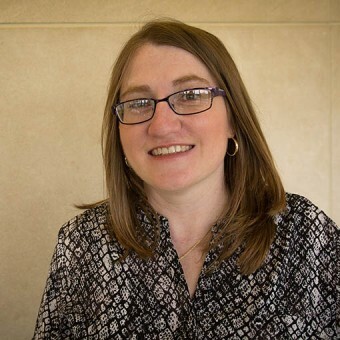 In addition to teaching courses in SOIC’s Health Information Management program, Nicole Van Andel works to place students in professional practicums, allowing them to gain experience and use what they’ve learned in a real-world setting. As an instructor Van Andel draws upon her professional experience in medical coding, and as a Medical Records administrator at Larue Carter Memorial Hospital in Indianapolis. She worked at the Rehabilitation Hospital of Indiana in Indianapolis for more than eight years as the Medical Records integrity team leader/privacy officer, and helped to implement two electronic health record systems. She has taught classes at SOIC since 2002, and was named a lecturer in 2016. Van Andel has served numerous roles in the Indiana Health Information Management Association. She has completed two terms as president and has served as legislative chair/state advocacy leader, annual meeting chair, professional development chair, and communications chair. In 2018 she joined the American Health Information Management Association (AHIMA) Foundation Research Network, and has reviewed practice briefs and completed other activities for AHIMA.